How To Give Your High Street Retail Store The Wow Factor - Lead Grow Develop shares insights on Leadership, Productivity and Personal Development. Join us during our weekly #5MinMotivation series and boost your inspiration. Here’s the thing in today’s shopping arena. To increase the footfall into your bricks and mortar store, you should do all you can to wow your customers. The online competition is huge, and many high-street retailers are struggling to survive because of it. 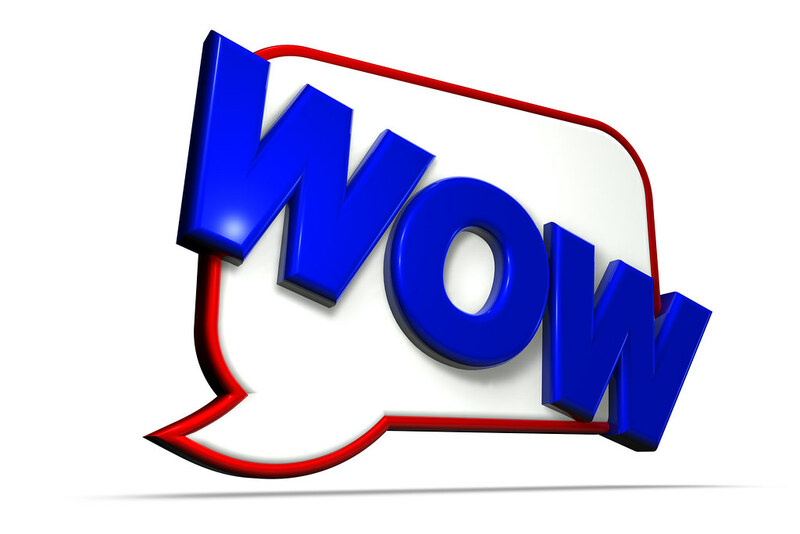 To stay open, you need to do all you can to give your retail store the ‘wow factor,’ impressing your customers as soon as they enter your establishment. For starters, you need to consider your store’s visual appeal on both the inside and outside. Focusing on the exterior, you want to attract people to your store in the first place. This means dealing with the physical state of doors, walls, and windows, making repairs where necessary, scrubbing everything clean, and adding a fresh lick of paint to make your store stands out. New signage may also be a good idea, especially if your current signs are old and outdated, so consider the signage tips here to give you inspiration. Consider your store window too. The eyes may be the window to the soul, but your store windows are the eyes to your inner store, so provide an attractive display, with enough room to see what else your store has to offer. Moving onto the inside, consider how visually appealing your space is. It’s in your best interest to renovate the inside of your store if it looks unattractive, so add color, use flooring services to enhance the ground your customers are walking on, and display your products creatively to add visual impact. Customer service also needs to be a priority. This means reducing your customer’s wait time, providing helpful advice when needed, and offering a smile and a little conversation to make your customer feel valued. Go the extra mile, too. Providing a drink fountain will quench the thirst of hot and busy shoppers. Seating areas will give them somewhere to rest their tired feet, and offering free toilet facilities will be a godsend to those that need them. Investing in customer service training for your staff is another good idea, as everybody needs to be on good form when it comes to making the customer feel welcome. Offer an experience your customers can’t get online. The welcoming atmosphere is something online retailers can’t offer, as are the extra facilities you have provided. Utilizing the latest in technology can also add to the experience, especially for those people looking for modern innovations. Offering hands-on experience with your product may also be useful (depending on what you sell), allowing your customers the opportunity to touch, smell, and even taste (if you sell food produce) to give them confidence in your products. You might even offer product demonstrations to give your customers further incentive to stick around in your store, and hopefully, buy what you have to offer. Do some or all of these things, and vastly improve your customer’s experience of your store. When they leave saying ‘wow,’ you know you have done something right. Sales prices will go up and you will have the peace of mind that, despite the threat of those online giants, your retail store has a better chance of staying open in the changing face of consumer trends. Pingback:Why You Need A Dress Code For Your Company - Lead Grow Develop shares insights on Leadership, Productivity and Personal Development. Join us during our weekly #5MinMotivation series and boost your inspiration.